Greet 2018 With Beautiful Hair! Looking for a fun hairstyle for New Years Eve? 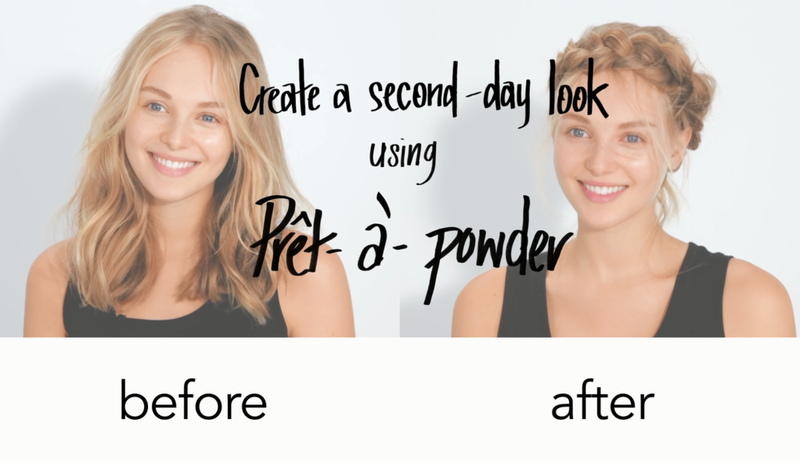 Try this braid, shown in the video below, Created using Bumble and Bumble's Pret-a-powder on second-day hair. We also spoke with our stylists Travis, Heather, and Kelly to learn which additional products they would use to create this style. See their tips below the video! In addition to the Bumble and Bumble Pret-a-powder, Travis suggests using the Goldwell Intense Smoothing Mask. "It fortifies the hair with keratin, helps hair become easy to blowdry, and it also helps de-frizz hair, creating a smooth texture," he says. Travis also recommends the use of Davines Personal Assistant Hairspray. This is a brushable, reworkable hairspray which adds a light, steady, flexible hold to the hair. Additionally, he says the Kerasilk Repower Volumizing Spray is great product to use for this style. "It's a volumizer with keratin that gives an instant root lift and also has a built-in heat protectant." Heather adds that Bumble and bumble's Thickening DrySpun Finish spray is the perfect way to "create that lived in, airy texture to your hair with instant fullness." Bumble and bumble Dryspun spray gives you the hold and grit needed to have the perfect holiday hairstyle! Both Heather and Kelly agreed that in order to achieve this look you need a great staple hairspray. The Davines Medium Hairspray is the perfect product to compliment this look. It sets the hair in place while giving it shine and is humidity resistant. It is our best hairspray for workable yet polished looks.